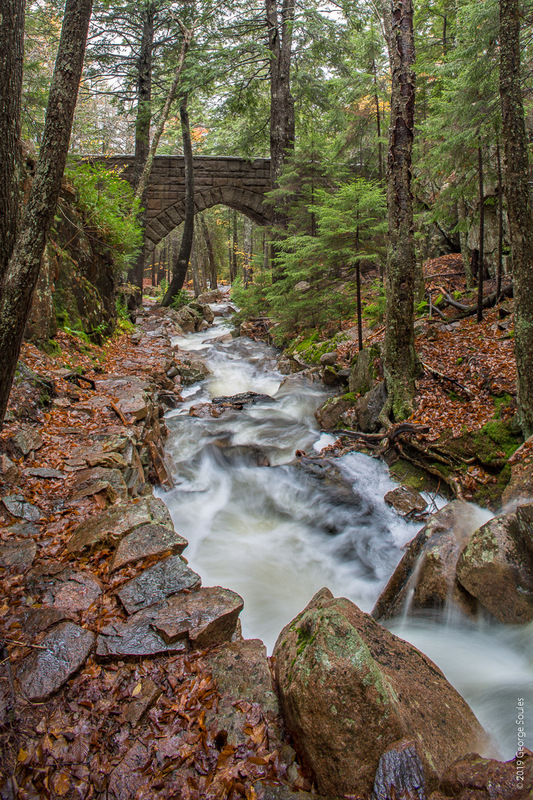 Janice and I hiked up to the Waterfall Bridge in Acadia National Park during a heavy rain. 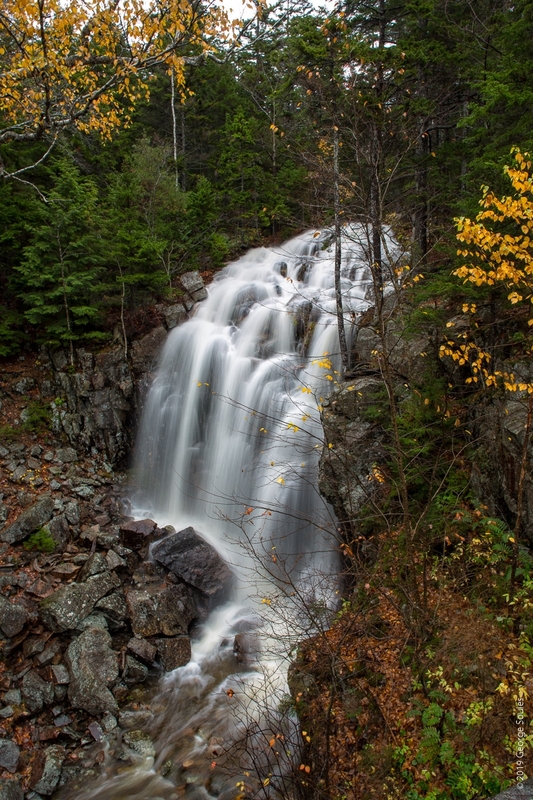 We knew the water would be flowing heavily, but still we were amazed by just how much water runs off the mountains of Mount Desert Island during a storm. On our walk long the carriage roads starting at the Parkman Mountain parking area, every culvert, spout, and normally dry stream was gushing water. 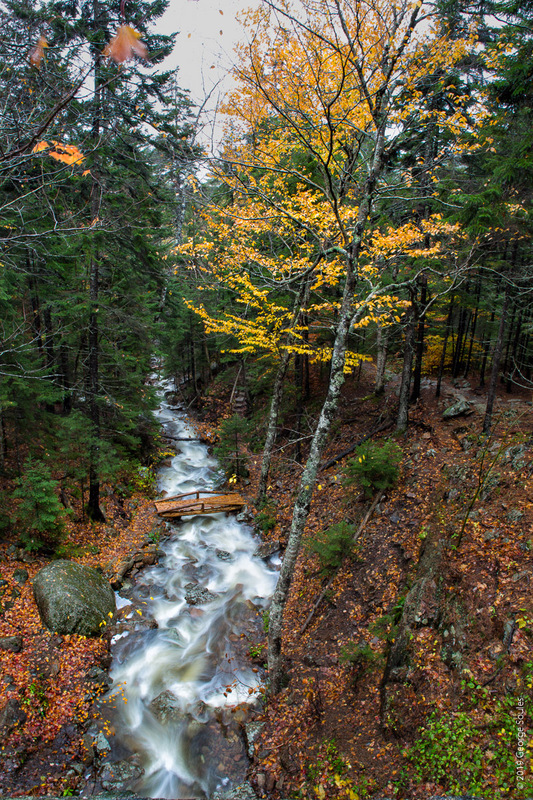 From the Waterfall Bridge, it’s just a short walk down the carriage road to the Hemlock Bridge. I shot these images with a Canon 24mm tilt/shift lens on a Canon 5DIII camera mounted on a tripod. Exposures ranged from 1/2 to 1 second.